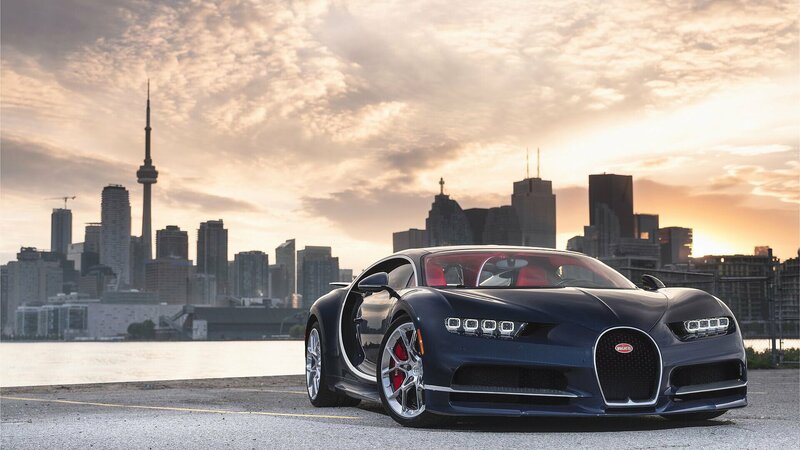 Bugatti has a new address in Toronto. The French super sports car brand’s sales partner in the East of Canada, Grand Touring Automobiles, recently inaugurated a new showroom with the new CI design developed by Bugatti for its dealers. The dealer also took this opportunity to move to a new address not far from the centre of the metropolis on Lake Ontario. Work is in progress on further showrooms in North America with the new brand design. All in all, Bugatti currently has 34 dealers in 17 countries, including two in Canada. Grand Touring Automobiles’ history in Canada’s largest city dates back to the 1960’s and was purchased nine years ago by current ownership. The company currently represents eight automobile brands, including a number of renowned premium and luxury marques. Grand Touring Automobiles has been Bugatti’s official dealer partner in the East of Canada since 2013. Bugatti Toronto will be at home at 777 Dundas Street East in a showroom with an area of 73 m² (785 sq. ft.). A sweeping white brand wall with adaptable background lighting dominated by a radiant Bugatti macaron sets the scene for the lounge area. Product information and presentations as well as highlights from the history of the Bugatti marque can be called up on a horizontal communication strip running along the wall. In addition, customers can configure their new Bugatti here. The whole system can be controlled intuitively from an iPad or tablet. The lounge features furniture from the Bugatti Home Collection designed especially for the brand’s new showrooms. The customized, authentically-shaped armchairs are made from the finest leather and blue exposed carbon fibre with high-grade materials and workmanship like those used for a Chiron. The sides are decorated by the EB logo. There is also a heritage section devoted to the Bugatti brand values. Three wall-mounted steles each express one of these values. Each stele has a monitor for showing films and animations that give an impressive presentation of the respective brand value. The digital content is underscored by exhibits. The new showroom concept was developed to provide visitors to dealerships throughout the world with the special brand experience that customers and guests enjoy at Bugatti’s headquarters in Molsheim, France. The newly designed Bugatti showrooms are easy to recognize; the contemporary presentation is dominated by blue, Bugatti’s brand colour, with distinctive lines and clear surfaces reminiscent of Bugatti super sports cars. An extraordinary super sports car calls for special surroundings. The Bugatti Chiron against the backdrop of the Toronto skyline. The French luxury brand has inaugurated a new showroom here. © 2018 Bugatti Automobiles S.A.S. The new Bugatti showroom in Toronto is resplendent in the brand’s new showroom design. © 2018 Bugatti Automobiles S.A.S.